Our last CMS showdown gained much fanfare and it proved that there is a dire need for such comparisons. While many voiced their different opinion, many also thanked us for helping them decide which platform is better for their new ecommerce startup. Now, we are taking the series further, and this time we have Magento vs. WooCommerce, another juggernaut in the competitive ecommerce platform market. The platform you choose for your ecommerce store is crucial to the success of your business. Deploying your online store on the right platform is critical because if you opt for a CMS that doesn’t support your immediate and future plans, it can put you in a difficult position later. Hence, it is better to do the necessary research that will not only save you time and effort in future but will also save you a lot of costs. The number of features an ecommerce platform offers says a lot. While basic features are important, to run a successful online store, you need more than basics. While both the CMSs have plenty of industry standard features, it’s important to know which platform gives you more flexibility and greater customization options. Magento gets the head start because as far as features are concerned, Magento is hands down the king. While you can create a basic store using WooCommerce, wanting to create anything a little complex can trump you. Magento, on the other hand, allows you to build a complex and feature-rich store with all your needs and wants. You can customize the shop the way you want, include extra facilities for your customers, or add advanced filter options to help customers navigate easily. It’s not entirely WooCommerce’s fault, though. WooCommerce is a simple shopping cart and boiled down to bare bones, it’s just a plugin that adds ecommerce functionality to WordPress. Magento, in contrast, is a full-fledged dedicated CMS for ecommerce businesses. 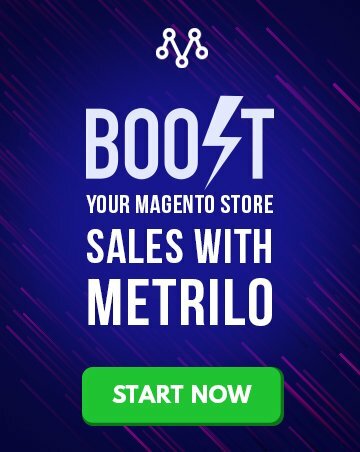 So while WooCommerce can play well with the hundreds and thousands of other WordPress plugins, Magento is the platform you really want to base your online store on! Performance is one of the biggest factors that decide which platform people choose for their store. If your store does not perform well or takes too long to load, most customers won’t return, and that would be bad for your business. Magento is often accused of being an old-soul. Users complain that Magento is slow and especially the backend is a real slacker. However, if you are wondering why Magento 2 is slow, you’ll realize that it’s mostly the way users optimize their stores and backend that decides the answer to the question. The speed and performance of a website also depend on the development and the number of plugins and extensions you use. Your web host also plays an important part (which is why we always recommend Cloudways Magento hosting to our users), so a lot is dependant on external factors. Hence, when both Magento and WooCommerce come down to action, there is no clear winner. In certain cases, WooCommerce will beat a Magento store easily, while many optimized Magento stores will leave a WooCommerce based online store in the dust. We call it a tie in this round. In 2015, a study suggested that more than 30,000 sites are hacked every day. With the advancement in technology and with hackers getting smarter (source? ), it is getting increasingly important to keep your website secure. Whether it’s a blog or an online store, optimum security is a must. Considering that your ecommerce store will host a lot of customer detail and personal information, the last thing you need is a security lapse. Both WooCommerce and Magento let you implement advanced security measures. However, while doing everything from your end is crucial, the CMS itself must address security concerns adequately, and that’s where Magento sets itself apart. While neither platform can be hundred percent secure, the fact that Magento releases security patches every now and then is a great source of comfort. Yes, users new to Magento may find it slightly complicated to apply the patches, but they are released frequently to help you secure your store, and that’s why Magento wins the security pie. Let’s just hand over the prize to WooCommerce here and be done with it. 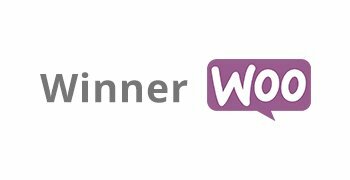 But since you demand an explanation, the winner in question is a WordPress plugin, and considering that WordPress itself is an easy-to-use platform, WooCommerce follows the lead and does well to make users feel welcome. Magento is a robust CMS and is not a novice-friendly platform. While there is extensive official documentation where you can learn a lot, there’s no way one can master the platform and deploy an online store with complete functionality themselves. You have to have at least intermediate knowledge of the platform to get started. WooCommerce is beginner-friendly and even if you have no knowledge of ecommerce platforms, finding your way through is easier with this WordPress plugin. And with documentations and a multitude of tutorials to help you out, WooCommerce is a safe bet for many. 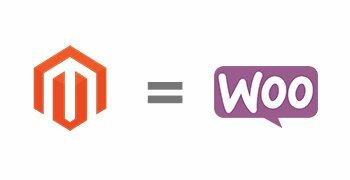 Both Magento and WooCommerce are open-source platforms that give them the advantage of attracting a large user base and community. However, WooCommerce is a relatively new entrant compared to Magento with both releasing in 2011 and 2007 respectively. With four years of head start, Magento is the de facto king of the ecommerce realm and apart from the support you get from a plethora of official documents and guides, there is a huge community for Magento that is ever-ready to help. WooCommerce is not much far behind, but since Magento has a far active and bigger community you can reach out to, it edges the competition. We are leaving out the paid Magento Edition with dedicated support since the competition (WooCommerce) is a free CMS, but users can always consider the fact that if they ever need to scale their business up a notch, the Magento Enterprise edition is an excellent option for superior support. Both Magento and WooCommerce are open-source and benefit from being free-of-charge. This gives users the option to start an online store without huge investments (disregarding the other costs for the sake of this review), which is pretty great. However, not paying a dime to use a great product comes with a cost, and you may end up paying more of that cost if you opt for WooCommerce. While WooCommerce is a great option for a beginner level store, with time you’ll realize that it is limited in its capabilities. In contrast, Magento’s free version gives you far greater flexibility and features to play around with and you can scale up your store without much hassle. Magento’s paid options are there for the taking, but with their enterprise edition going up to a mammoth $18000 per month, it’s not a great option for a startup or even a mid-sized online store. However, we’re counting on you to scale your business to the point you need that Enterprise edition, and we’ll keep our fingers crossed. However, with the free Magento version providing greater flexibility and far more options, Magento is a clear winner. If you have any thoughts to share or have any queries to ask, feel free to leave a comment below and we’ll get talking! 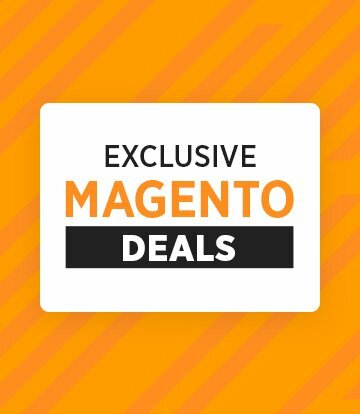 Subscribe to get the free Magenticians eBook right in your inbox and launch your own Magento 2 store! 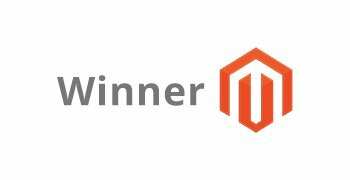 Starting an Online Store – Look No Further Than Magento!